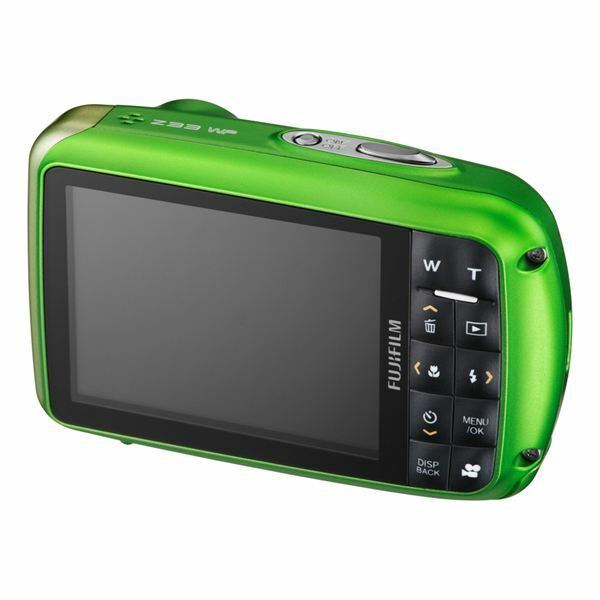 The Fujifilm FinePix Z33WP is the world’s smallest waterproof digital snapshot camera, not a serious underwater camera. The camera only works to 3 meters of depth. It’s not good for anything much deeper than a swimming pool, but that’s its purpose. It’s for taking pictures around the pool or at the beach without worrying about dropping it in the water. With that in mind, the Fujifilm FinePix Z33WP is a well-designed camera and a good value. It packs all the popular features of point-and-shoot digital cameras into a durable, waterproof package. For an amateur photographer, the waterproof FinePix Z33WP has most of the bells and whistles of more fragile point-and-shoot digital cameras. The intelligent scene recognition automatically adjusts to six types of lighting and scenes. The picture stabilization is effective, as are the red eye removal and face detection technology. For bloggers and Facebook fanatics, it also has Fuji’s cool blog mode. This allows for in-camera resizing and photo editing so users can plug the camera into any computer and quickly email the photos or post them on the Internet. 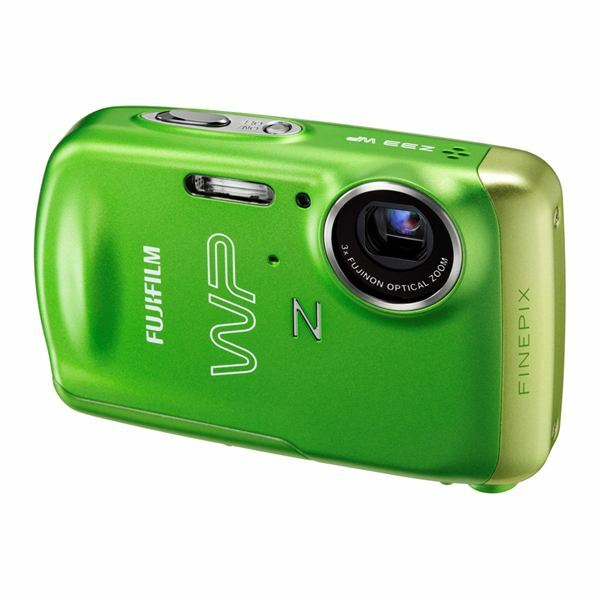 The FinePix Z33WP can also shoot short videos, with a microphone and speaker also squeezed into a small, waterproof case. The most common complaint about the camera is grainy, poor-quality indoor photos. But it’s meant for the outdoors, so that might be expected. The other drawback is the lack of an optical viewfinder. Particularly for a camera designed for use in bright sunshine, an LCD viewfinder can be hard to see. The FinePix Z33WP has a sleek, rounded design with few seams that would allow leaks. It also fits comfortably in a pocket. The camera comes in classic black, or bright pastel pink or green. The best that can be said of the latter colors is that the camera won’t get lost and it may even match a particularly bright swimsuit. Even the accessories are unusually attractive and useful. A silicone sleeve fits neatly over the camera to block sand and scratches. A comfortable padded wristband straps to the camera so it won’t float away. Amazon sells the FinePix Z33WP for $165, which is about the same as other digital cameras with similar features but no durable, waterproof shell. It’s also cheap enough that you could buy a FinePix Z33WP just for summer vacations and days at the pool, then use a more high-end camera for indoor events and family portraits.